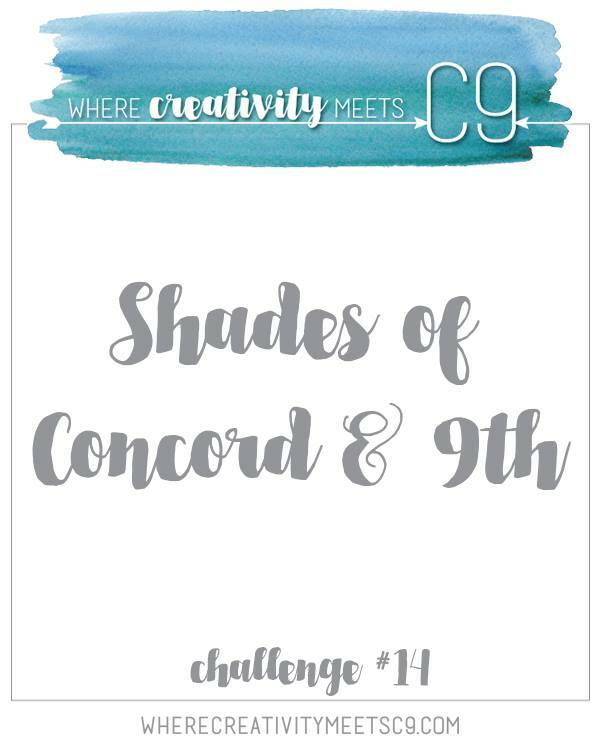 Where Creativity Meets Concord & 9th – Shades of Concord & 9th! Happy Columbus Day! I hope that you are lucky enough to have the day off from work today! I’m happy to report that my Dad is home from the hospital, he came home yesterday. He is feeling much better thanks in part to all of your well wishes. I really can’t thank you all enough for keeping him in your thoughts. you guys are the best peeps ever! I even got to do some fun stuff yesterday! In the morning I took a ride into Manhattan with Heather to drop her brother off at Comic-Con. After that I went with her to look at some used cars, she is trying to find one for her brother. Boy is there a lot of garbage out there! LOL! After that I spent some time with my Dad and then watched a little TV and made my card for today. Felt so good to sit down in the Stampin’ Galley! Today I have some cleaning and other chores to do. What are you up to?